Interceptors equipped with a next-generation system that can defeat multiple complex missile threats with just one launch would make U.S. missile defense capabilities even more effective. Such a system could thwart an attack involving a single missile that releases a group of objects that includes the warhead plus decoys that are warhead look-alikes. A kill vehicle keeps people safe by destroying an incoming missile before it reaches its destination. It is the part of an interceptor that strikes an incoming warhead, using force of impact alone to limit effects on the ground. All of today’s major U.S. missile defense systems use the hit-to-kill force-of-impact technology pioneered by Lockheed Martin in Sunnyvale. 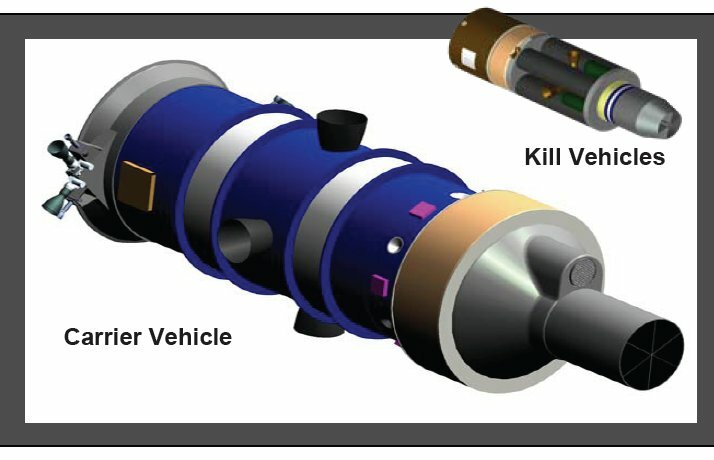 The Multiple Kill Vehicle program aims to develop small, lightweight, and lethal kill vehicles dispensed from a single booster. The integrated payload would be designed to fit on existing and future interceptor boosters. One or more Multiple Kill Vehicles can be assigned to intercept all credible targets within a threat cluster when discrimination is challenging. Multiple Kill Vehicle has the potential to solve many of the most difficult countermeasure challenges. In the event of an enemy missile launch, an interceptor equipped with this payload will track down the target using data uplinked to the seeker aboard the carrier vehicle. Once outside the earth's atmosphere, the seeker will acquire and track all threat objects, including the missile and any countermeasures deployed to disrupt U.S. defenses. The carrier vehicle will then dispense a large number of small "kill vehicles", guiding them to destroy the targets designated by the seeker. 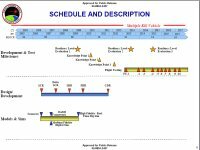 During an engagement with the enemy, the divert and attitude control component will maneuver the carrier vehicle, with its bandolier of 8-20 small kill vehicles, onto the path of the in-bound threat complex. With the enemy now in its sights, the carrier vehicle dispenses the kill vehicles guiding them to destroy their designated targets. 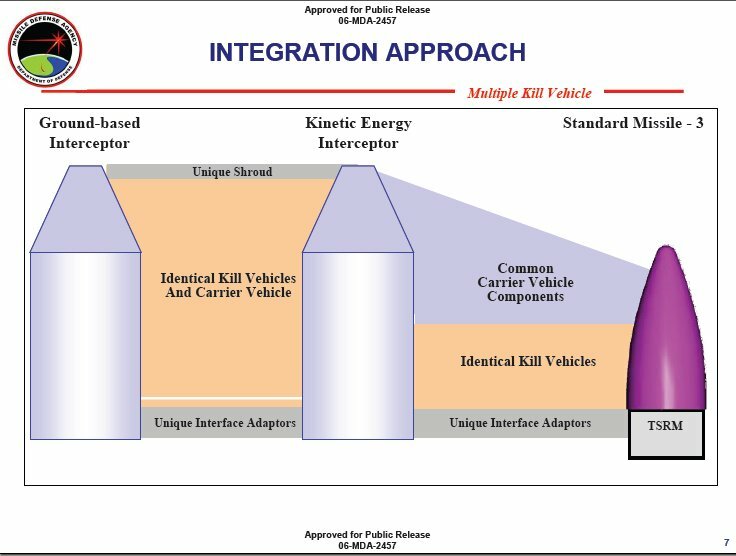 The MKV is being designed as an optional payload for midcourse defense systems for all midcourse interceptor elements. The concept mitigates the need to pinpoint the single lethal object in a threat cluster by using numerous kill vehicles rather than a single kill vehicle. 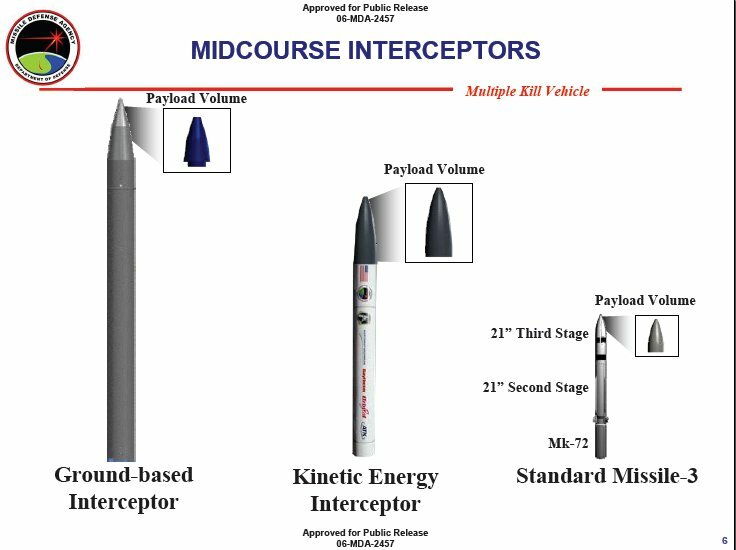 The current concept consists of a number of smaller kill vehicles; but, MDA is developing an alternative payload concept on a parallel acquisition path to mitigate risk. The MKV system includes a carrier vehicle with on-board sensors and kill vehicles weighing approximately 10 pounds. The Multiple Kill Vehicles program will demonstrate the feasibility and lethality of Multiple Kill Vehicles through conceptual designs, analyses, simulations, and flight testing and critical hardware demonstrations. Existing and emerging miniaturization technology would be evaluated and subsequently integrated into a functional system. The Multiple Kill Vehicle (MKV) system allows more than one kill vehicle to be launched from a single booster. The system consists of a carrier vehicle with on board sensors and a number of small, simple kill vehicles that can be independently targeted against objects in a threat cluster. The integrated payload is designed to fit on existing and planned interceptor boosters. The Carrier Vehicle assesses the threat set, deploys and assigns the Kill Vehicles and manages the engagement. 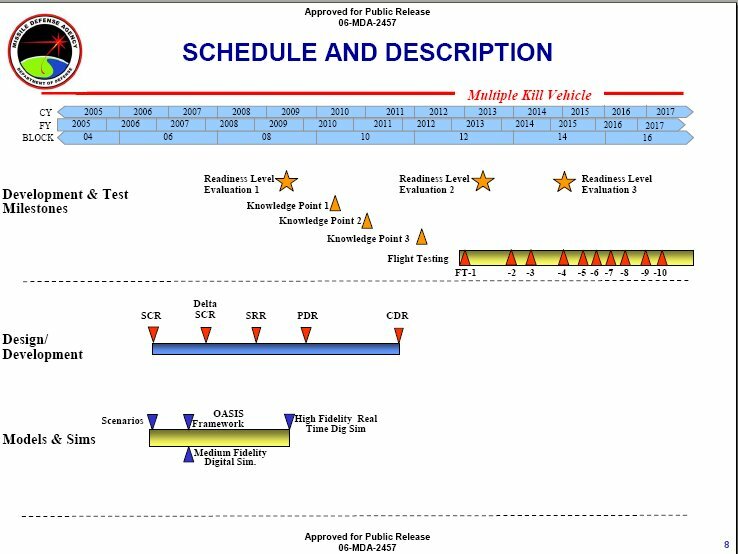 The Kill Vehicles perform threat analysis and intercepts. Designed to be a force multiplier for all of the land and sea-based weapons of the integrated mid-course missile defense system, the Multiple Kill Vehicle is a transformational program adding volume kill capability for the war fighter. 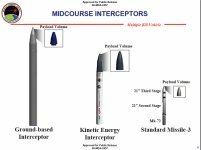 In the event of an enemy launch, a single interceptor equipped with this payload, will not only destroy the reentry vehicle, but all credible threat objects including countermeasures the enemy deploys to try and spoof our defenses. This many-on-many strategy eliminates the need for extensive pre-launch intelligence while leveraging the Ballistic Missile Defense System's discrimination capability, ensuring a robust and affordable solution to emerging threats. Lockheed Martin's modular design approach can be configured with varying quantities of kill vehicles per carrier vehicle in order to address the full range of operational scenarios. 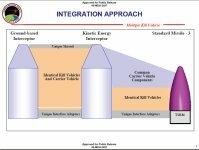 The design is also flexible to allow its MKV system to be used with the variety of missile defense boosters being used and developed by the Missile Defense Agency.